Proudly available in the Langley, British Columbia showroom of Golden Tree Jewellers, channel set wedding bands are a brilliant way to celebrate the love shared between any modern couple. Known for the unique way in which the pieces' diamonds are held into place between two polished precious metals strips, channel wedding bands make for a classic and clean bridal jewelry style. For brides and grooms searching for their dream channel wedding bands, Golden Tree Jewellers is thrilled to offer a totally genuine selection of pieces, all from some of today's most sought-after designers including Simon G, Tacori, Noam Carver, and more! Prepared to meet the demands for channel set wedding bands, Golden Tree Jewellers presents an exquisite assortment of dazzling designer-made channel wedding bands available today in their exquisite Langley location. 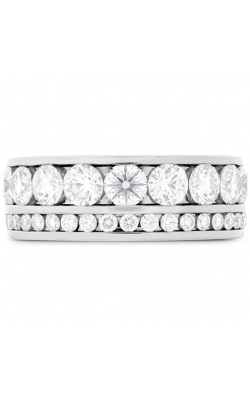 Firstly, from Tacori come the RoyalT, Classic Crescent, and Sculpted Crescent woman's wedding band collections, as well as an assortment of equally as stunning men's wedding bands from Tacori. 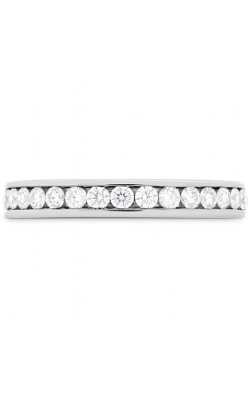 In addition to authorized collections from Michael M and Tacori, Golden Tree Jewellers also offers radiant channel bands from CrownRing's Rope and Diamond lines, along with an extensive assortment of diamond-adorned bands by Noam Carver. Further, Golden Tree Jewellers offers their Vancouver area guests comprehensive custom jewellery design services, as well as the innovative bands from Zeghani and Torque. Conveniently located in Langley's Willowbrook Shopping Centre, Golden Tree Jewellers is the leading destination for top-quality engagement rings, wedding bands, timepieces, and fine fashion jewellery items. At Golden Tree Jewellers, guests are treated to the latest and greatest in designer jewellery fashions, also including pieces from Breitling, Carlex, Gucci, Tag Heuer, and so many others. Also, the friendly and knowledgeable staff at Golden Tree Jewellers extend custom jewellery design, expertly-done watch and jewellery repairs, and easy financing plans to ensure that every guest finds their dream piece!